No matter how much you love your dog, there’s nothing endearing about the odor of a rain-soaked dog after a walk. There’s where a dog raincoat will come in handy. With that, you can walk your dogs on a rainy day without necessarily getting them wet. If you live in an area that’s prone to rain or the rainy season is approaching, then it might be a good idea to buy a dog raincoat. Not only will it save you from having to dry your pup’s fur after a walk in rainy weather, but you won’t have to deal with wet dog smell ever again! With the Aira Full Coverage Dog Rain Jacket from RUFFWEAR, you can confidently walk your dog in the rain knowing that your furry friend won’t get wet. That’s because this raincoat is designed to offer full-body coverage not just for your dog’s torso but for his chest, hind legs, hips, and shoulder. It even comes with a large foldable storm collar to not only keep rainwater at bay but to protect your pup from mud splatter and wind as well. Its wind-proof capability is further enhanced by the leg loops, which help to keep the coat on no matter how windy it gets. Note that this raincoat is not insulated which makes it ideal for tropical climates that experience frequent summer rains. The breathable mesh lining will also help your dog to maintain a comfortable temperature during the walk. This is a versatile raincoat that works for both warm and cold climates. With the auto-lock buckles on either side, it’ll be easy for you to put it on and take it off while providing your dog with ease of movement so he can really enjoy his walk. We love that this raincoat is designed with a leash portal on the rear. Thanks to the light loop attachment and reflective trim, your dog will be visible in low light conditions. 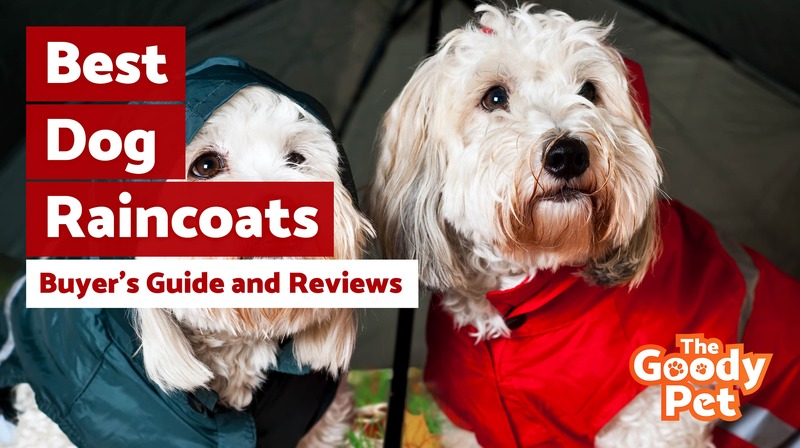 Overall, this raincoat is perfect for dog owners who live in areas that have frequent rainfall and wind storms, and it’s our top pick in this list. If you’re looking for something a little trendier for your dog while keeping him dry, this is it. Ethical Pet has designed a functional and practical yet stylish raincoat that’s easy on the eye and even easier on your pocket. It’s made from a comfortable polyester material that’s smooth to the touch while the PVC exterior keeps the water out. Thanks to its bright yellow color and reflective stripes, your pup will be visible from afar no matter how dark it gets. Of course, you can always pick whatever color you like, since this raincoat is available in six different colors, and it’s perfect for dog owners with pups of different breeds and sizes. It also comes with an adjustable belly strap and a large hoodie to protect your dog’s head from the rain. The Fashion Pet dog raincoat is as stylish as it is affordable. It’s perfectly made to keep your pet as dry as possible when you take them out for a walk in the rain. It also comes in six color options to suit your preferences. The Mikayoo Dog Raincoat is perfectly designed for dog walking because it comes with a convenient leash access hole that allows you to comfortably put your dog’s leash on. This one feature alone makes it so much easier to walk your dog with the raincoat on. This raincoat also comes with a generously sized hoodie to protect your four-legged friend from rain and mud splatter. The only problem with this hoodie is that it’s often too big for certain dog breeds and sizes. It can also be quite cumbersome when the sun comes out because you’ll have to push it back and fold it into a neck piece before you can continue your walk. The hind leg straps are a smart feature in our opinion because they help to keep the raincoat on during windy spells. Plus, it’s super easy to put on and take off. This HDE dog raincoat features a comfortable polyester interior and a waterproof coating. It has a very straightforward yet functional design that includes adjustable straps to keep the poncho in place while your pup is out playing in the rain. The reflective straps are there to ensure that your dog stays visible in the dark, and this is by far the most comfortable and flexible of all the raincoats on this list. It fits like a glove without restricting movement. The most endearing aspect of this jacket is its functional design which is evident in the reflective strips and adjustable belly straps. However, they should make more color and size options. Your dog will be visible even to the most visually challenged motorist when wearing this highly reflective raincoat. It’s available in two different colors, which is good news for anyone that has multiple dogs, and it scores an A+ on the safety scale. The only downside is that it’s only available in 4 sizes which might limit the number of dog breeds who can wear it. Hopefully, the manufacturer will make it available in more sizes in the near future. However, this jacket has a redeeming factor in the form of elastic leg straps and a Velcro belly strap which means your dog will be able to play freely in the rain without getting wet or feeling uncomfortable. It’s also lightweight and fully foldable, so you can travel with it anywhere. The design of this raincoat is simple yet elegant. It’s also available in different colors and sizes which is nice. Don’t deprive your dog of his daily walk when you can just put him in this Vizpet dog raincoat. It’s fully waterproof and made from reflective material, which means no matter how cloudy it gets, motorists and car drivers will be able to see your dog from afar. It’s made from hardwearing nylon which is lightweight and tough enough to withstand rain, wind and mud splatter. Plus, it’s designed with a hole in the back to fit a dog collar or harness through. The best part is that this raincoat is made for small dogs so even if you struggle to get a raincoat size for your small pup, that won’t be an issue with this one. Knowing that dogs like to bite at stuff they wear sometimes, the manufacturers of this raincoat constructed it from lightweight and non-toxic materials that don’t pose any health risk. In fact, they’re so confident about the quality and performance of this raincoat that they’ve backed it with a 60-day money-back guarantee. The Vizpet really shines when it comes to full body coverage. It covers not just the upper part of your dog’s torso, but also the stomach area as well. It’s also one of the most comfortable raincoats on the market, thanks to its lightweight design. The Ellie Dog Wear zip up raincoat is a chic addition to your pup’s closet that also happens to be a marvelous raincoat. It has a vibrant yellow color that will remind you of sunny days while making sure that your pet remains visible in low light conditions. It features a removable hoodie and reflective buttons that are quite unique from the usually reflective strips. Plus, you won’t have to carry dog treats in your hands or pockets, because this raincoat comes with its own buttoned pockets for treats and toys. What really makes this raincoat stand out is its stylish design. The Ellie Dog Wear raincoat doubles as a casual jacket for your dog, so if the clouds go away and the sun comes out while you’re still walking your dog it can still wear it without looking out of place. This raincoat from RC Pet Products is fully waterproof with a unique and beautiful design. 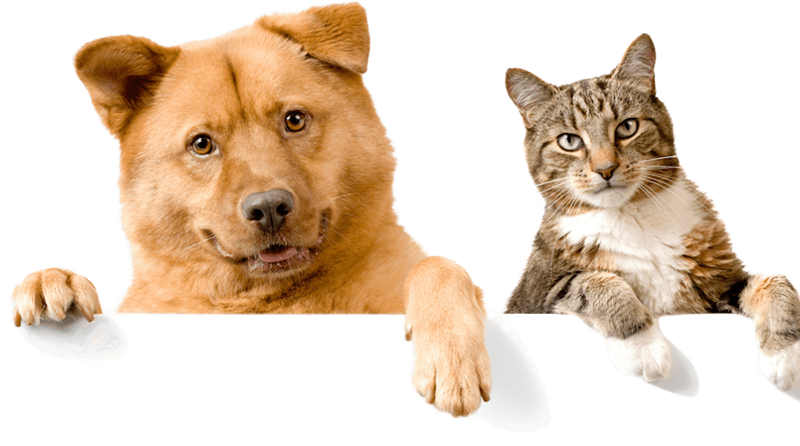 It will keep your pet comfortable by insulating it from the cold and wind. It’s perfect for cold environments and it’s available in 12 different sizes. The taffeta shell offers extra waterproof protection and optimal flexibility for ease of movement. This raincoat also features a hood and a waistband to keep it tight and secure. On the downside, this raincoat doesn’t have reflective strips for high visibility at night which makes it a bit unsafe. But it has a cute nautical design that will make your pet stand out while playing at the park. This cute RC raincoat comes in 12 different sizes, which is quite rare when it comes to dog raincoats. But it doesn’t have any reflective material so it’s not ideal for use in low light conditions. With its high-Viz orange design, this Hurtta dog raincoat is hard to miss. It’s quite similar to the reflective clothing that construction workers wear and it’s ideal for use in low light conditions or at night. It’s available in 13 different sizes to fit different dog breeds. Plus, it comes with reflective strips, adjustable fasteners for comfort as well as leash access. This raincoat is available in a wide range of different sizes which means you won’t have a hard time finding a fit for your dog no matter what size they are. The best part is that it has a chic design that’s complemented by functional usability. But keep in mind that it’s a bit pricey as well. If you’re a dog owner, then you know how important it is to walk your dog regularly. While it’s fun and enjoyable to walk your dog during the summer, it’s not uncommon for people to get cold feet when the weather changes. But it’s essential for you to walk your dog no matter how cold it gets. While most people initially laughed at the concept of a raincoat for dogs when it was first introduced to the market, real dog lovers know how much of a saving grace this piece of dog apparel is. Because they’re made for dogs, these raincoats will fit your pup perfectly and work great to keep your dog dry. Nowadays it shouldn’t be hard to find a good quality waterproof raincoat. They are a dime a dozen options out there, but you have to be careful because some of them are actually fake knock-offs that will wear out after only a few occasions. To avoid all that, keep the following things at the forefront of your mind when looking for a quality dog raincoat. For the best results, always go for a raincoat that’s made from waterproof material, not water resistant. A waterproof parka will keep the water off completely and leave your dog dry and ready to get into the house after your walk. A majority of raincoats are constructed from PVC and polyurethane, both of which are nontoxic and ultra-durable materials. These two materials make for a great combination because they offer comfort and durability. Also, these materials are resistant not only to rainwater but to stones, grass, ground, and soil. So it’s resistant to tears and scratches as well. That’s why you should avoid water-resistant raincoats and opt for waterproof ones instead. Another important consideration to make when shopping for a dog raincoat is the size. You want your dog to be comfortable and have freedom of movement while staying dry. To achieve this, look for a raincoat that offers Velcro closures or elastic leg straps. However, your main focus should be to find out what size raincoat is best for your pup based on their breed type and actual size. For instance, greyhounds tend to fit into the M to L size range. Lastly, make sure that the raincoat you purchase has a pouch or packing system that’s easy to work with and possibly ergonomic. It should fold up within seconds and come with a Velcro or button to fasten it closed. The hood of the raincoat usually doubles as a pouch which makes for ease of use and versatility. This feature is standard on most dog raincoats by the way, so it shouldn’t be an issue. Dog raincoats are a great way to maintain your dog walking schedule no matter what season it is. But you have to look out for the right features and make sure that it’s reasonably priced but not too cheap. If we were to recommend a dog raincoat from the options listed above, it would have to be the RUFFWEAR rain jacket for dogs. It has a beautiful red design and a reflective trim for low-light visibility. In addition to its waterproof design, this raincoat features side release buckles for easy removal as well. All in all, the RUFFWEAR raincoat is a beautiful example of how a well-made dog raincoat should look, feel and perform.